I am so excited to be doing a collaboration with Dylbug. If you haven't heard of this company and you have little ones and/or picky eaters you MUST go check them out! 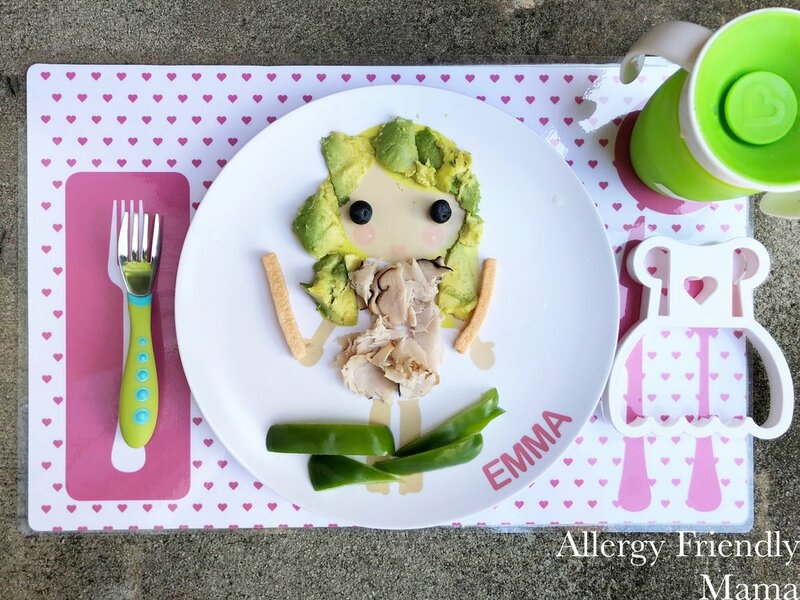 She sent this adorable placemat, plate and dress cutter. First of all, I love that you can customize your plates specifically for your child (Ex: name, hair color, eye color, glasses etc.). I mean come on, stinkin adorable. 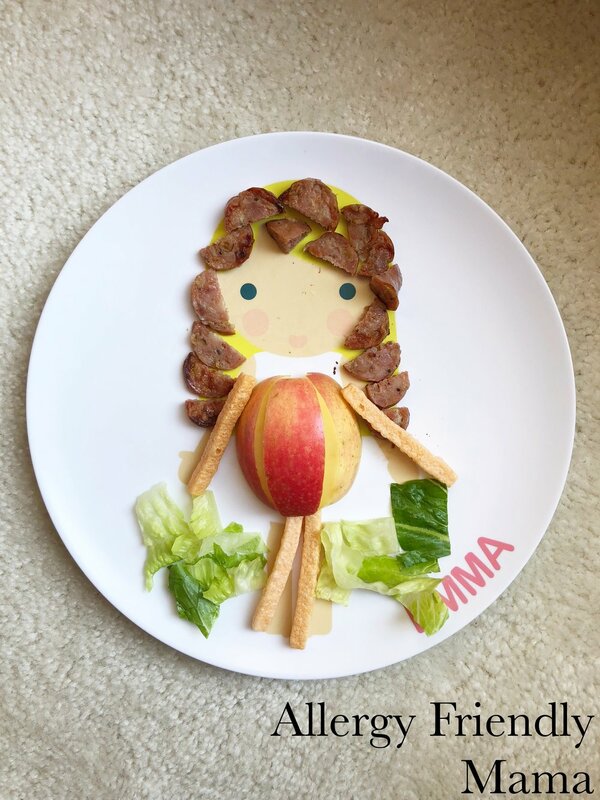 The whole idea of these products is to let your child play and explore their food all while having fun. Here are some pictures I took of some of the fun designs our WHOLE family came up with (my hubby wanted to make sure he was included and decorated the plate for her on his own one night). 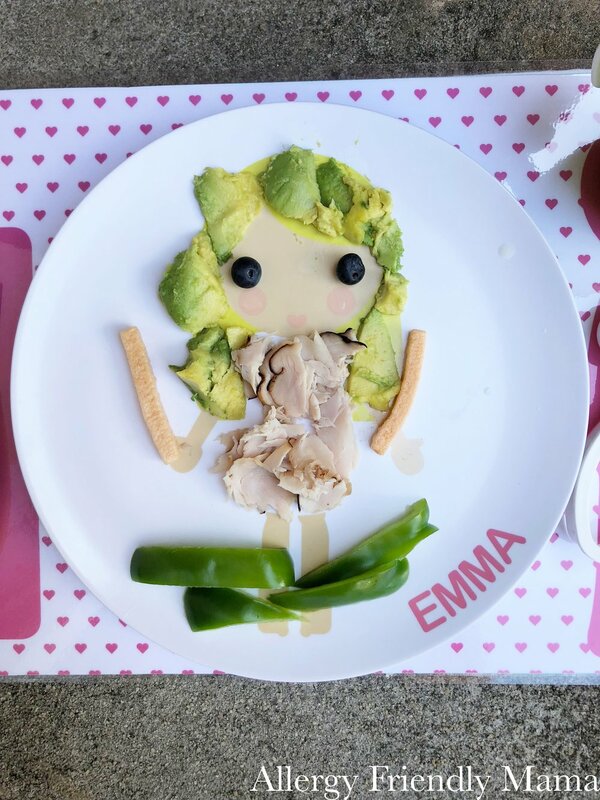 I loved seeing my kids touching all the different foods I put out and seeing what they chose to put on her plate. Sam, my 4 year old, was the best big helper for his 2 year old sister. I loved seeing them snack on the foods as they were decorating the plate and trying new foods! So brilliant! Another thing I love is the fact that if you order the placemat, there's a dry-erase area on the back where your child can practice writing their name and letters/numbers. So basically it's an educational placemat. Winning!!! 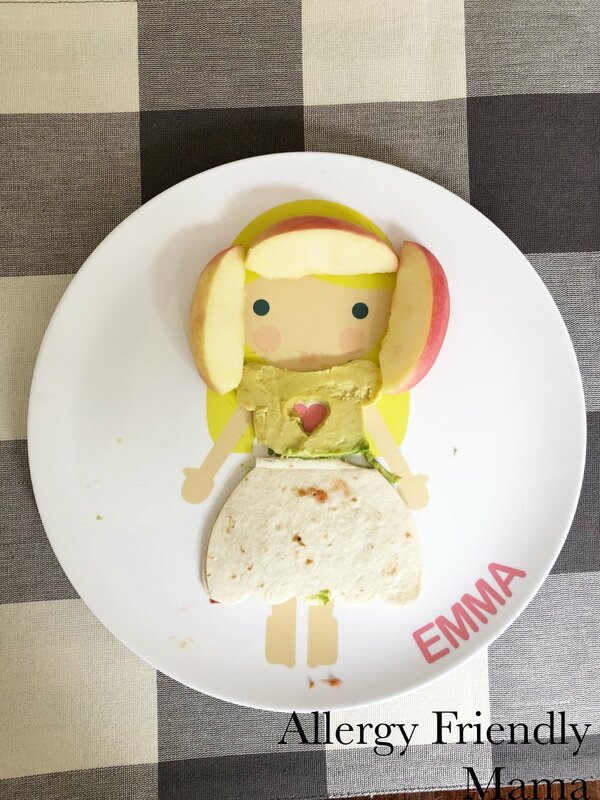 I also love that the dress cutter can be used to cut out sandwiches OR you can use it to play with play-dough. SO FUN. And what about the fact that the dress cutter came with a die to roll and instructions for a dinner game? It's so easy. 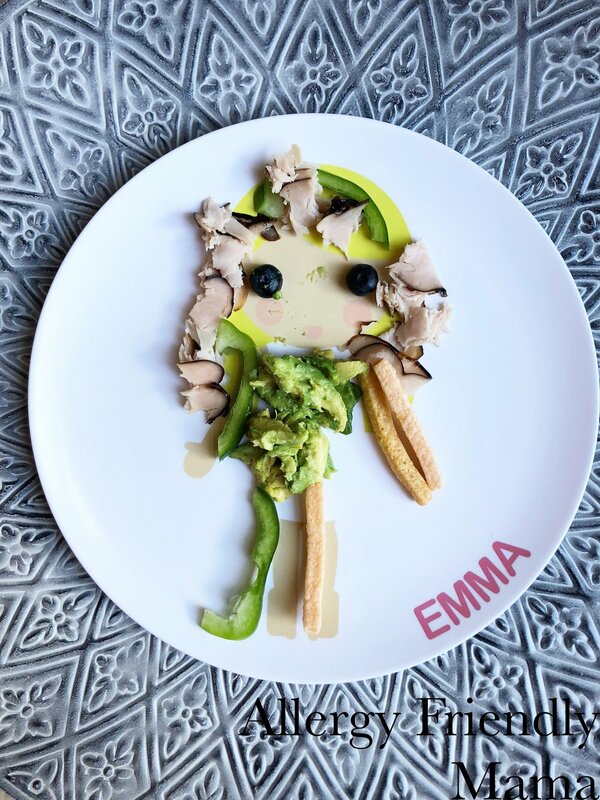 All you do is roll your die and whatever color it lands on, whatever designated food you picked will be picked up and the child must chose where to place it on their plate. The game ends once all the food is gone! Amazing, right? So please make sure and check them out. If you're on instagram, make sure you check our their stories. The owner, Leslie, is a hoot and shows all sorts of wonderful ideas of how to use her products!